It could be late at night or during the day, and BOOM, out of nowhere, you have to have your salty treat. Your life just stops if you don’t consume your sugary and sweet chocolate treat. And, every morning you can’t get through your day without your coffee—milk, two sugars. Food cravings can notoriously sneak up on you, but why? Even if you try so hard to stick to your diet or control your craving, you always seem to succumb to your food cravings despite your will power. It’s like you’ve hit a brick wall or there’s an obstacle you cannot leap over. It may not be entirely your fault and you think you don’t have a fighting chance. Here are the three main reasons you have excessive food cravings and how to defeat them. Food addictions can produce symptoms of imbalance in the body, including digestive disorders, headaches, fatigue, depression, tension, or skin problems. The symptoms are relieved when you succumb to the food cravings. You decide you want to give up coffee and you feel anxious, but next time you have coffee, your anxiety stops. Allergy symptoms will appear immediately upon consumption of the foods that cause reactions. When we avoid the offending substance, food allergies become controllable. Often, people do not connect allergies with their food intake, and they suffer through allergy symptoms and will continue to crave their allergens. You decide you want to heal your body with your food. It’s not that simple because toxins have been stored in your body for years. Your body has to cleanse first, and it’s called a discharge. The toxins are dumped in the bloodstream by the immune system, and are eventually disposed through the kidneys, lungs, skin, or liver. Before the toxins leave the body, they go through the circulatory system. In the brain, the hypothalamus acts like a tape recorder, and it picks up the information from toxins in the bloodstream. This triggers food cravings from positive food associations in your past. You will instantly want the familiar foods, and you won’t know why. Imbalances including nutrient proportions, expansive and contractive foods, and acid-forming and alkalinizing foods lead to food cravings. When you are lacking a certain nutrient, you will crave sweets or salty foods to attempt to balance the deficiency. Too many expansive foods (fruits, potatoes, salads, sweets, and alcohol) can have you craving contractive foods (meats, salts, and grains) to help maintain balance in the body. Also, an abundance of acid-forming foods (sweets, grains, meat, and eggs) will lead to food cravings for alkalinizing foods (fruit, salads, and vegetables). To take control of your food cravings, you need to replace them with the right foods to balance your body. Do you find you go on weekly cake or cookie binges? Eating less meat, salt, and dairy products, while eating more baked yams, cooked fruits, squash, apples, dates, and whole grains will help you eliminate your food cravings for sugary foods. Good examples of whole grains include amaranth, barley, buckwheat, millet, quinoa, or oats. Healthy eating may be hard when you drink alcohol. Your diet probably consists exclusively of animal proteins and fatty foods as well. Eliminate or diminish your alcohol intake, have fewer meaty and fatty foods, and eat more complex carbohydrates such as spinach, kale, green beans, carrots, and peppers. Do you go through two or more coffees a day? Eliminate the coffee and also have less acid-forming foods such as salt, meat, sugar, flour, and grains. When you eat more alkalinizing vegetables, you may find your coffee cravings subside. 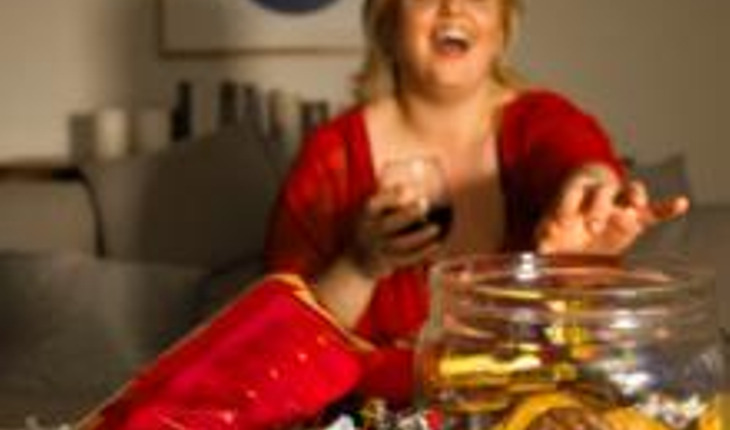 Fatty food cravings at night can make you add on the pounds. If you crave fatty foods, then satisfy what your body really wants and reach for more proteins such as beans, fish, chicken, and eggs. Are your best friends the couch and salty potato chips? It is a good idea to diminish salt and reduce your consumption of sweets, fats, alcohol, meat, and grains. Substitute those foods with vegetables, black beans, and sea vegetables that are naturally salty. It’s important to know that food cravings don’t just happen—they happen for a reason. The excessive consumption helps cause nutrient imbalances and also disease. Healthy eating practices can easily stop your everyday food cravings for the unhealthy foods that you want to stop eating.